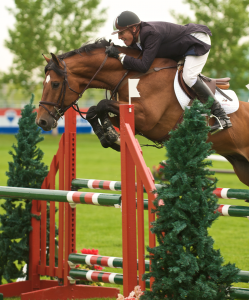 Double clear was the theme of Quailhurst stallion Caletino’s first ever trip to the showjumping tournaments at Canada’s Spruce Meadows. Rider Rich Fellers again couldn’t contain his excitement, exclaiming “This horse can gallop!” after the pair really found the gas pedal on their second trip around the North American Ring. 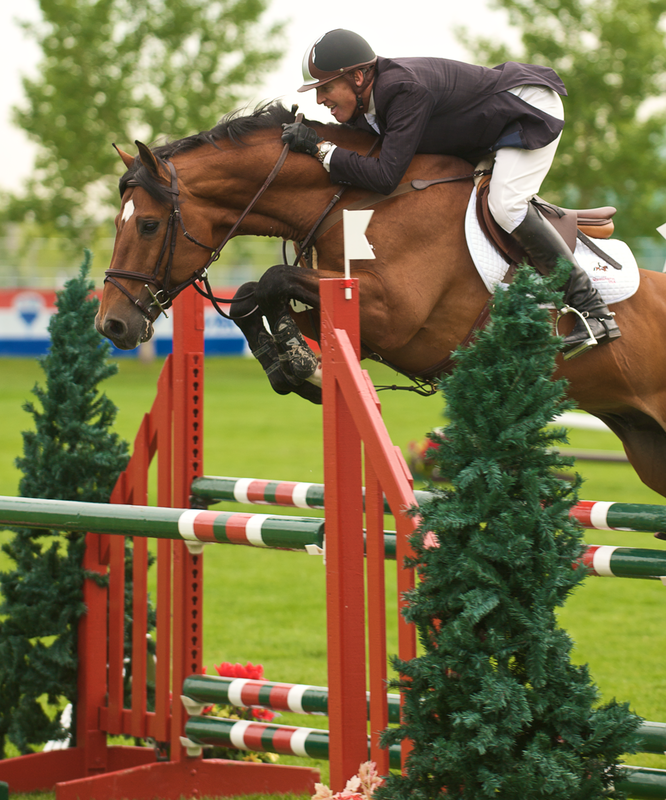 Caletino had one rail during his entire Spruce Meadows outing and only seemed to get better as the fences got higher and the courses tougher. Moving up to the 1.20M division for the Canada One Tournament (June 25-28), he was 5th out of 44 and, the following day, 2nd of 41. Back the next week for the North American Tournament (July 1-5), Caletino continued to excel at 1.20M, placing 3rd out of 50 and 1st out of 32. Quailhurst owner Marvin Hausman was on hand in Calgary to watch the stallion’s performance and can attest that Caletino was truly enjoying himself out on the turf at Spruce Meadows. Our stallion certainly proved himself, yet again, by winning against elite international competition in the jumper ring. Very special thanks to Rich Fellers and the team at Rich Fellers Stables for doing a fantastic job with Caletino.